Excelling in both style and performance, the Audi A4 is as competent on the road as it is pleasing on the eye. Aside from the trademark large front grille, an aerodynamic body style creates a refined look, while redesigned elements such as the side mirrors and accentuated curves reduce drag further. The solid built also guarantees safety, confirmed by the five-star Euro NCAP rating. Inside you'll enjoy complete comfort, with a smart dashboard, driver-assist technology, and stylish upholstery ensuring a satisfying drive throughout the vehicle's lifetime. Meanwhile, a comprehensive selection of engines delivers impressive efficiency and dynamic performance. With responsive steering and confident acceleration, you'll be delighted by the Audi A4's prowess. Available in a range of body styles and trims, you'll be spoilt for choice. 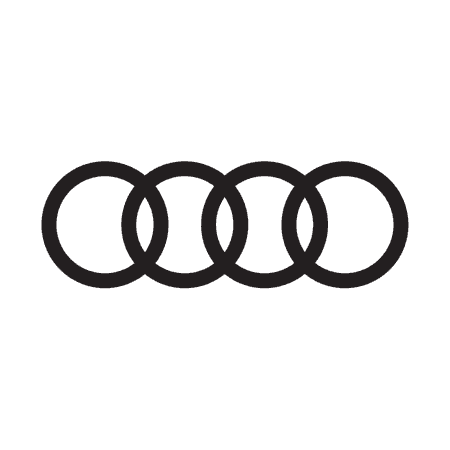 After browsing our selection of used Audi models either online, or by visiting us directly at our Drift Bridge dealership in Epsom, simply contact a team member to book a test drive or request a valuation.